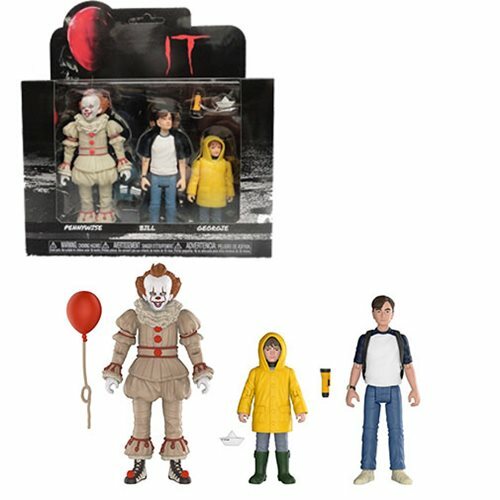 From the 2018 version of Stephen King's It comes a set of action figures! 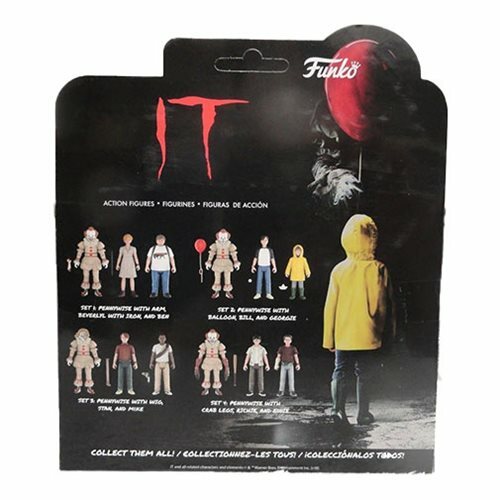 These It Action Figures each measures approximately 3 3/4-inches tall. 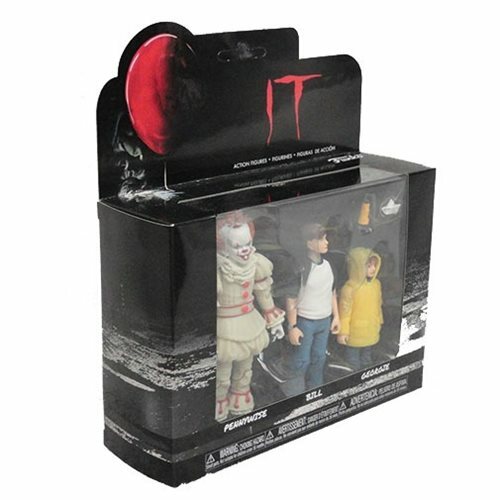 The It Action Figure 3-Pack Set #1 comes packaged in a window display box. Ages 8 and up.